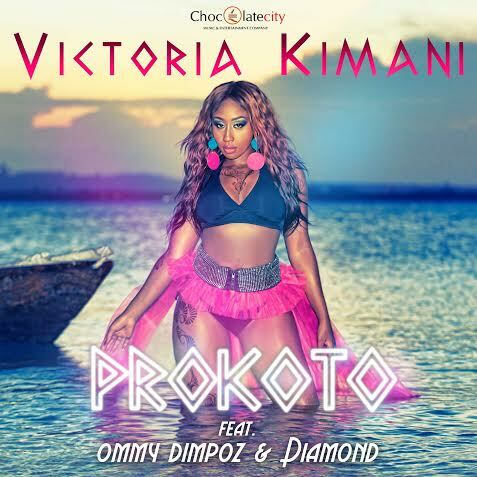 Chocolate City Kenya’s fast rising pop star Victoria Kimani has officially released her new single ‘Prokoto’ featuring Tanzanian Superstars Diamond and Ommy Dimpoz. ‘Prokoto’ follows up on her two previous successful hits ‘Oya’ featuring M.I Abaga and ‘M’Toto’, and is a heavy beat that is bound to get listeners dancing. Victoria Kimani, Diamond and Ommy Dimpoz infuse their native Swahili language with English on this single “Prokoto” which is a new dance craze in East Africa. Victoria Kimani’s ‘Prokoto’ is reminiscent of traditional East African sounds, and captivates the listener from the first beat, and culminates in a lot of dancing and, gyrating. This song is wild, we hope you enjoy this and please share!